Trying to provide you guys with more pictures on Tripletail..but i have a problem uploading it..
That's a good catch at punggol. Though I fish there often ...have not caught one myself. We really do need alot more "help" to complete the fish id info bank. identifying the species is another area which we are dependent on Peace alone. That explains the slow progress of this site. I am not sure what problem you faces while uploading the pics onto this site. You might like to pm Peace or myself and see if we are able to help. 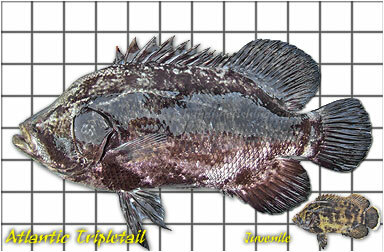 Thanks for the big help jameskimo, I could use many more fish pictures for this site, especially on fishes like this Tripletail. 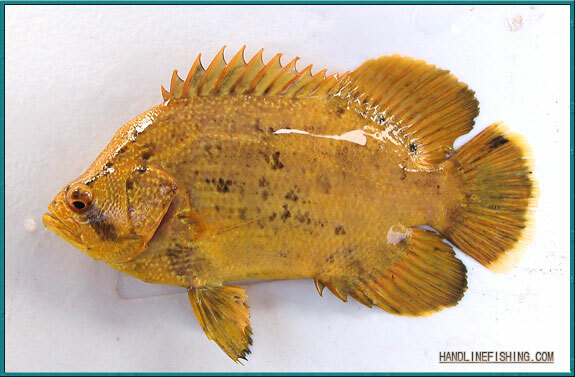 The current picture is only a juvenile fish, so yours can certainly serve as a better reference. You can try uploading your images onto photobucket and give me a link to the pictures or album. Alternatively, you can directly email the pictures to me at handlinefishing@gmail.com. Yes, it would be even better if the pictures were taken while the fish is still alive as dBs™ has mentioned as it still retain its natural colours and their fins erected, which can be important for identifying purposes.